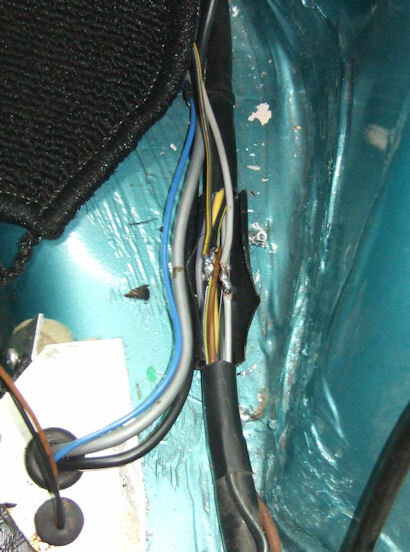 The wire to the horn and the wire to the city lights can be found at the left hand (drivers) side in the trunk. 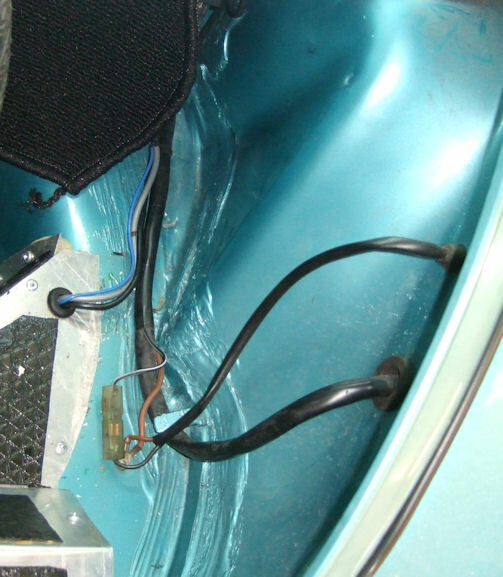 There is a bundle of wires that runs through the inner wheel wheel to the headlight and the horn. 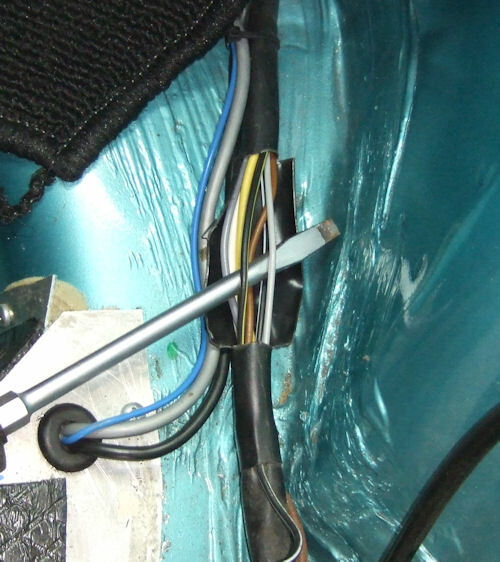 Don’t pay attention to the thick blue, gray and black wires that are attached to it. You’ll not find those in your 1303 beetle. These run to the radiator fans. Then I soldered the wires that will run to the relay to the black/yellow and lightgray wires, as mentioned in the wiring diagram. After that I had to mount the daylight driving lights under the bumper, and run the rest of the wiring to the relay and grounds. 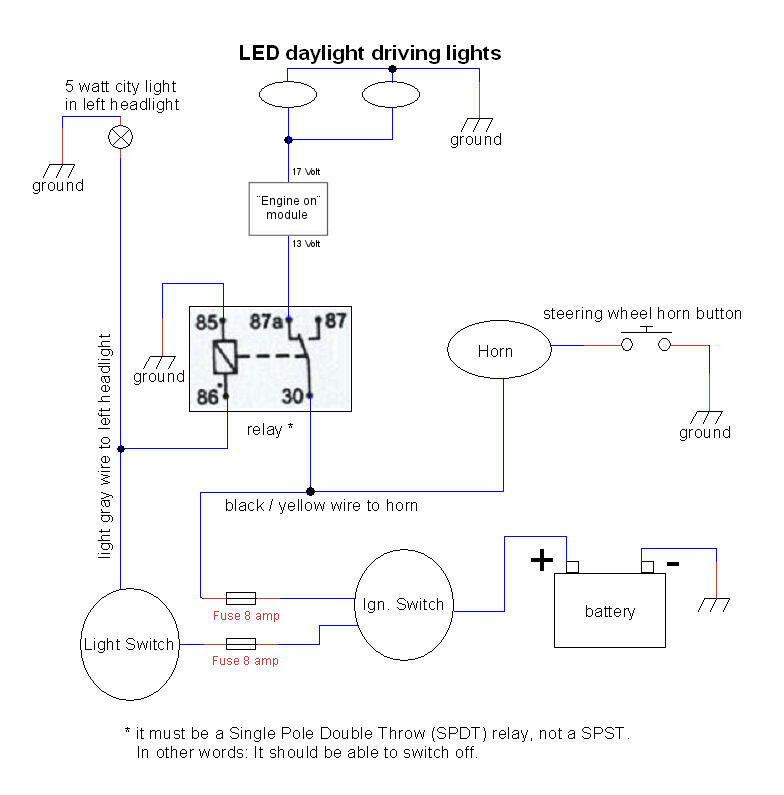 See the wiring diagram for more details.